What Cortina is to the Dolomites, Courmayeur is to Valle d’Aosta. 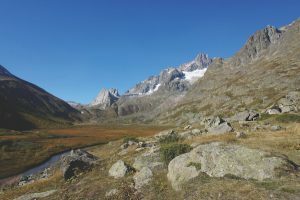 It’s desirable, often exclusive, with fantastic skiing opportunities right next to the Mont Blanc massif, or Monte Bianco as it’s known in Italian. This spectacular mountain range that straddles three countries – Italy, France and Switzerland – offers jaw-dropping views and the Monte Bianco Skyway that takes you up to 3,500 metres. And there you are, right in front of the summit of Mont Blanc, the highest mountain in western Europe. Drive slightly further on from Courmayeur and you get to the small village of Entrèves, 1,306m above sea level, and the last town before you go through the tunnel to France. It’s small and beautifully preserved. Just like any other Alpine village, you might think. Yet there’s a difference. 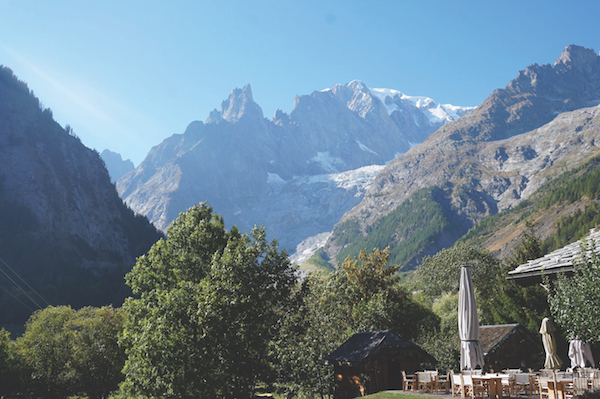 Every moment of this small Alpine town and the lives of its inhabitants is framed by the backdrop of the rocks and the glaciers of the 4,810m high Mont Blanc massif. (That’s 15,780 feet in case you’re wondering.) It accompanies you in everything you do, ever present in the background. Faced with mountains, we’re faced with the universe in one of its grandest – and most deadly – forms. (The mountains may be beautiful but they will also kill you.) And ultimately, we’re faced with our own insignificance. In today’s world it’s easy to lose contact with all this. We go to the mountains to reconnect. The cows go up in summer to high pastures and come back again in the autumn; the life of the vineyard is still ruled by the changing seasons; and the food we enjoy on the tables of the restaurants has its roots in a history of people that were used to hard work and whose faces were marked by the seasons and the elements. 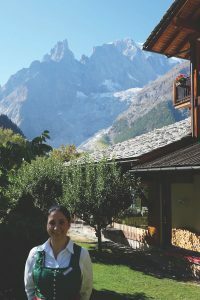 The culture of the people of the Valle d’Aosta is linked to the mountains. These are the tales they tell to the tourists that visit, whether through their village festivals, the Désarpa or the Festival of the Lighting of the Tree on the first Saturday in December. 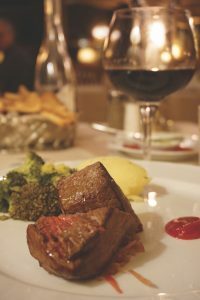 Naturally, the food here is robust and hearty, with typical cheeses such as Fontina, Bleu d’Aoste, Chevrot du Mont Blanc and Brossa, all of which are often served with jams or honey. Then there’s the famous Lardo d’Arnad and Jambon de Bosses, a type of prosciutto, and motsetta, a salume of ancient origins typical of the region. 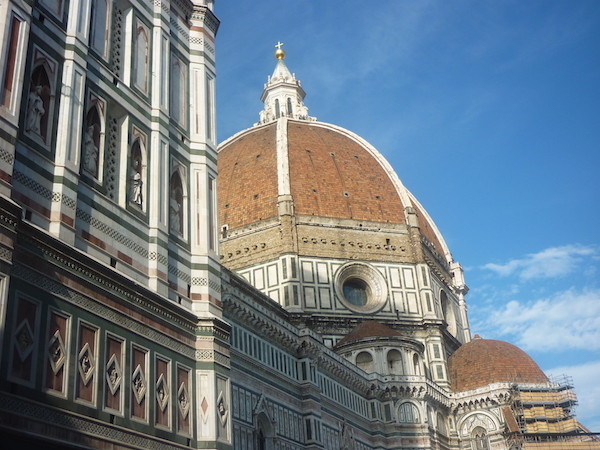 There are also rich carbonade stews and polenta dishes prepared with Fontina cheese. There’s also wine. The Valle d’Aosta’s winemaking tradition is very old and its terraces have been cultivated for centuries by families who drank the wine first for their own consumption and who have now developed the successful vineyards we see today. These vineyards now provide work for new generations to be able to continue living and working in the mountains. The moment I walk into Auberge de la Maison I feel spoiled. Alessandra Garin has created a relaxing and luxurious hotel-home with an atmosphere that’s definitely that of a family, testified by the fact that some of its friendly staff have been here for years. What distinguishes the hotel is its carefully curated attention to every single detail and its utmost attention to its guests. The emphasis is on the guests’ well-being in an atmosphere of peace and tranquility that promotes mental and physical recharge on every level. 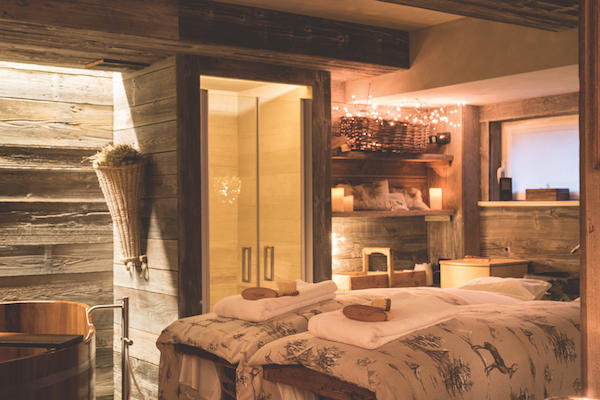 The well-equipped wellness area includes heated swimming pool with alpine waterfall, Finnish wood sauna and Turkish bath with spectacular views of Mont Blanc as you relax. There’s also a hay bio-sauna with hay and mountain herbs, a wooden hydro massage bath and two hay beds. Such attention to well-being includes what you eat. There’s the possibility of personalized menus, although the restaurant’s menu is careful to offer revisited versions of traditional dishes. This is because while the traditional dishes of the Valle d’Aosta are delicious, they can be very rich. Overdo it for too long and after a while you may be left feeling that was really too much of a good thing. 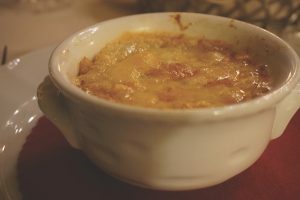 They also offer a Veggie Day that includes typical cheeses and soups from the area such as the Courmayeurentze, a soup with bread and gratinated Fontina cheese, and the similar but different Valpellinentze soup, which is served with white cabbage. Il Bianco, she calls the mountain, the White One. It betrays a depth of feeling that is startling and real, an image of a great white presence against which lives are lived out in symbiosis with the natural rhythms of the mountains.